It’s not a good thing when dog trainers describe themselves as ‘balanced’. Here’s why. 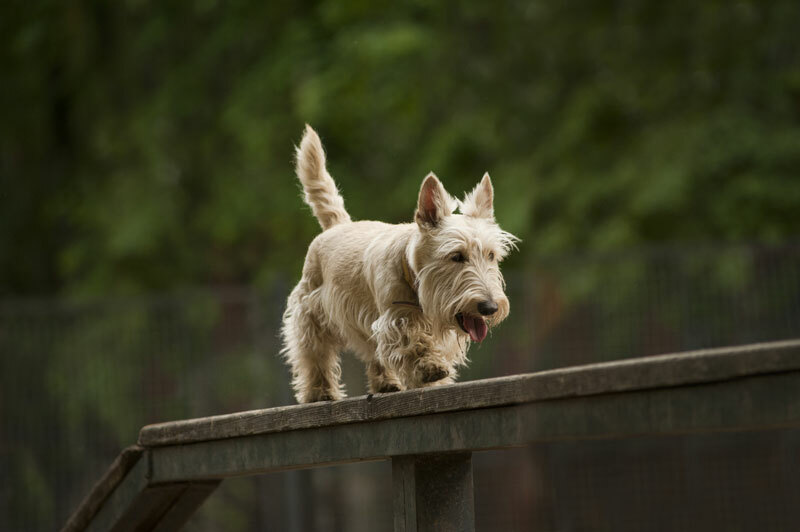 When you think about balancing dogs, your first thoughts might be of a dog walking along a beam, all nicely balanced and not falling off. 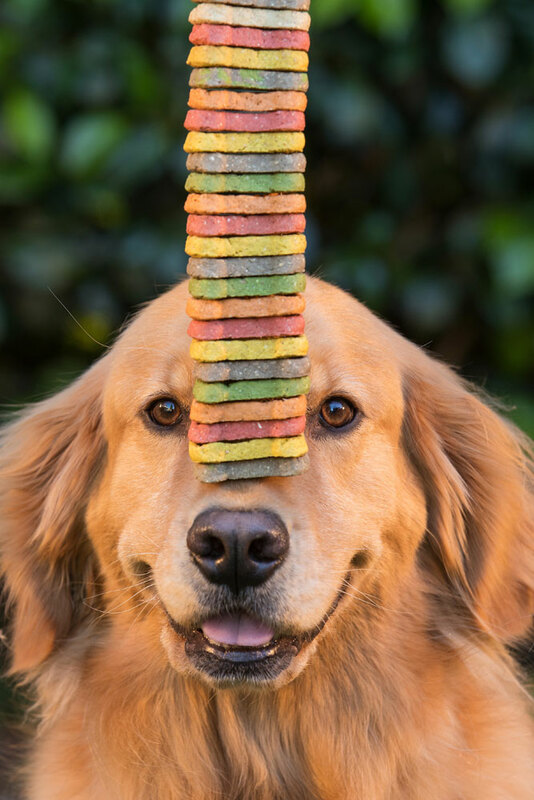 Or maybe of a dog posing for a photo with a pile of cookies balanced on their muzzle, to show off how good their balancing skills are. But, unfortunately, this is not what people mean when they refer to ‘balanced’ dog training. Balance is one of those weasel words in dog training. If we think of the word in the abstract, balance is a good thing; we don’t want to be off-balance and fall over. So it sounds persuasive. 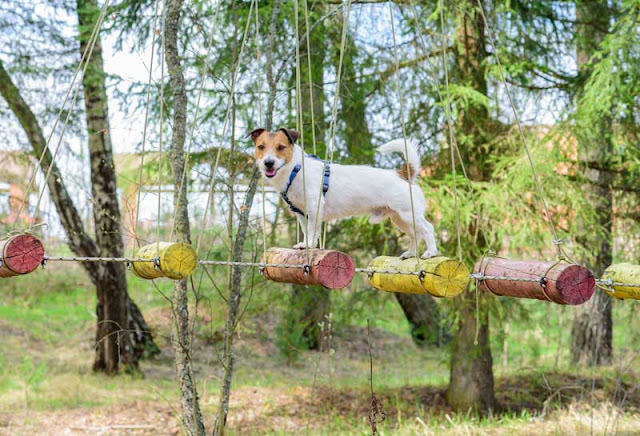 But in terms of dog training, balance has risks despite the name. Of course, balance is just a word in the English language and may be used in various ways since it can be used by anyone. When people refer to ‘balance’ in dog training they usually mean in terms of good and bad, i.e. not just using positive reinforcement but making use of punishment too. What’s wrong with balanced methods for training dogs? People who refer to ‘balance’ in dog training methods are often doing so to distinguish themselves from dog trainers who use positive reinforcement. You may hear statements that people should “use all four quadrants” of dog training. In plain English, what they mean is that as well as rewarding good behaviour, you should also physically punish your dog. You’ll notice an appeal to authority – science – in using the technical terminology of quadrants. But it is just plain irresponsible to advise people to physically punish their dogs. Balanced trainers often don’t use the word punishment to describe what they do. Instead they talk about ‘corrections’ or ‘correcting your dog’. But if we want to be technical about it, it’s positive punishment. (Still on a technical note, there may also be circumstances in which balanced trainers use negative reinforcement). What does science tell us about combining rewards and corrections in dog training? Because many ordinary people use a combination of rewards and punishment to train their dogs, scientists are able to assess how obedient (or otherwise) people rate their dogs and compare it to the methods used. One study found that most people use rewards to train their dog at least some of the time: about half of all training involved the use of rewards (Arhant et al 2010). The most common rewards, used by 90% of dog owners, were petting and verbal praise. Food was used as a reward ‘often’ or ‘very often’ by more than half of dog owners, and play was another commonly used reward. The more often people used rewards in training, the more likely they were to say their dog was obedient, and the less likely they were to report aggression or anxiety. This study also found that about a quarter of training was punishment-based (the remaining group of techniques they studied included things like comforting a dog). The more often people used punishment, the more likely they were to say their dogs are aggressive and excitable. For little dogs, the risks are increased because the more often punishment was used, the more likely the dog was to be anxious and fearful too. The most common types of punishment were scolding the dog and leash jerks, used by 80% of respondents. About 30% of owners slapped the dog, held the muzzle, used alpha rolls or shook the dog by the scruff as a form of punishment, while 15% used noise to startle the dog. These other types of punishment were used less often. This study, as with most others on dog training methods, was correlational and we know that correlation does not prove causation. However, other studies also report similar findings. (If you specifically want an experiment where observers were blind to the training method used, there is one that found welfare implications with shock collars). There is evidence that using physical punishment with dogs can lead to an aggressive response (Herron et al 2009). For example, 11% of owners who used prong collars (a common tool of balanced dog trainers) reported that it led to aggression. 15% of those who yelled “No!” at their dog also said that it sometimes led to aggression. Of those who said they “hit or kick [the] dog for undesirable behaviour”, 43% said there was an aggressive response. Aggression is a serious problem because as well as potentially causing injury to a human, it may also result in the dog having to be euthanized. On the other hand, most of these owners also used food rewards (89%), and 86% of them reported that it had a positive effect on behaviour. So what we see is that people who use rewards to train their dogs report better-behaved dogs with fewer behaviour problems. Why 'balance' rewards and 'corrections' when corrections have risks? Using reward-based dog training is better than using both rewards and positive punishment. In fact food is typically the best reward to use when training your dog. Dogs like food and it’s an efficient and effective way to train; what’s more, dogs like to work to earn rewards. But how do you stop your dog from doing bad things? This is a common question from people who are used to using punishment in training. Switching to reward-based training involves a change in how you think about your dog’s behaviour. When people are in the habit of using punishment, they are reacting to the dog doing something they don’t want in order to try and stop it from happening. Another way to look at it is to ask what you would like your dog to do instead, and train them to do that. Suppose the problem is that your dog jumps up to greet everyone, and it’s annoying and embarrassing. Well first of all, congratulations on having a friendly dog who likes to greet people. That’s brilliant! And second, what would you like them to do instead? Perhaps you would like them to sit politely and be patted. Or perhaps you would prefer to teach them to target the person’s hand with their nose, so they can still sniff the person but don’t jump up. Either way, you can then develop a training plan and use rewards to teach your dog what to do. The bit that surprises some people is that you can do this without having to physically punish the dog. You can avoid giving your dog the opportunity to jump in the first place. If your dog does jump up, you can ask the person to turn briefly away, or you can take the dog away from them and then try again (technically, negative punishment). Or if you prefer you can just ask them not to pet the dog (although many people will; after all it’s hard to resist petting a friendly dog). Then get back to your training plan. I have also seen some people refer to dogs themselves, rather than training methods, as ‘balanced’ or even ‘well-balanced.’ Again, they don’t mean literally that they are able to stay upright; it’s a metaphor (sometimes used in conjunction with the wolf pack metaphor). And as I said above, it’s an appealing one because the opposite, imbalanced, has bad connotations. But what exactly does it mean? Since it is referring to an apparent state of mind, it’s hard to know exactly and impossible to assess. It’s far better to think about our dogs’ behaviour in terms of things we can observe. For example, is the dog well-behaved or are they doing something you don't like? (And if so, what specifically, and what would you prefer them to do instead?). Are they happy? Or are they fearful? These are all things we can actually observe. Although most people are able to recognize a happy dog, experience helps people spot fear. So it could be that some people who use aversive methods are not able to recognize signs of stress and fear in their dogs; I like to think that if they did, they would rethink their methods. (See eight tips to help fearful dogs feel safe). At the same time, some dog trainers claim their methods are ‘humane’ and ‘do not hurt’ when actually they are unpleasant for the dog, otherwise they would not work. Because dog training is not regulated, dog trainers are not required to be transparent about what they do (and some may not have the technical expertise to do so). Everyone who’s learned about quadrants of operant conditioning will know it can be hard – we can’t expect the average dog owner to know, but trainers should. When choosing a dog trainer, as well as looking for someone with a qualification and a commitment to ongoing professional development, pick someone who is proud to say they use food to train. If they are disparaging about the use of food as a reward, look elsewhere. Because ‘balanced’ dog training involves combining the use of rewards with corrections that carry the risk of fear and aggression. That doesn’t sound like a good balance to me. It’s better to skip the risky part and stick to reward-based dog training. So let’s take balance off the menu and use food rewards instead. If you would like to know more about the research on dog training methods, check out my dog training research resources page which includes links to scientific papers as well as to blogs where you can read all about them. Why Do People Choose Certain Dogs?